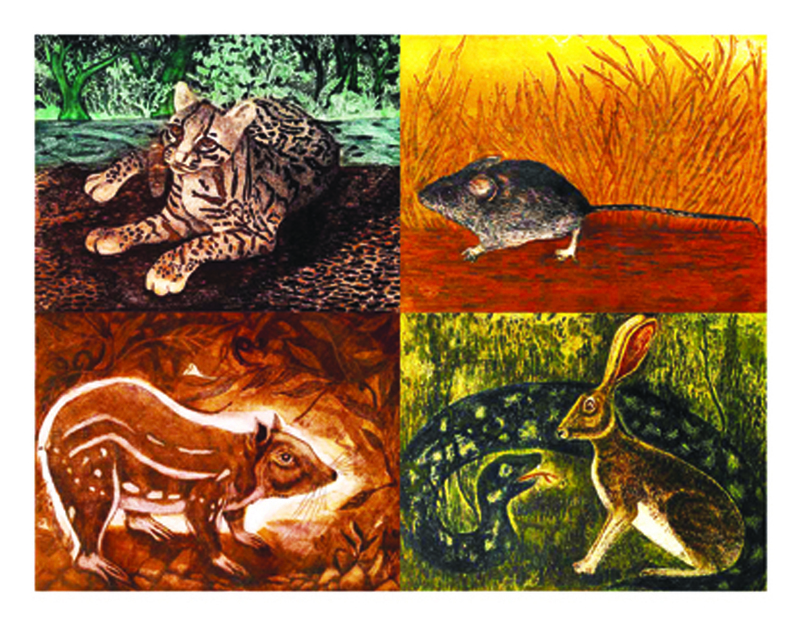 WPCA is proud to present a portfolio of 28 prints highlighting endangered animals living in the region of Oaxaca, Mexico. Created under the direction of Juan Alcázar, these prints bring awareness to the negative environmental impact caused by humans, and emphasize the need to conserve wildlife and work towards a harmonious coexistence. Thank you to all Members and Donors!